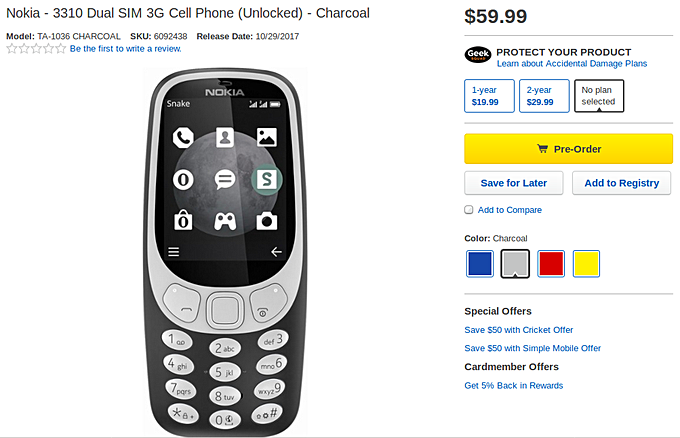 After Europe, pre-orders for the Nokia 3310 3G are now live in the United States as well. Retailer Best Buy has the phone listed on its website, and is asking $60 for it. Available color options include Azure, Charcoal, Warm Red, and Yellow. The model on offer is unlocked, and offers support for dual-SIM. Also, it's only compatible with GSM carriers like AT&T and T-Mobile. As for release, the listing currently says shipments will begin towards the end of this month - October 29 to be precise. Meanwhile, in a separate news, the Nokia 3 has started receiving a new update. Weighing in at around 400MB, it's a security update that brings along fixes for the month of October. 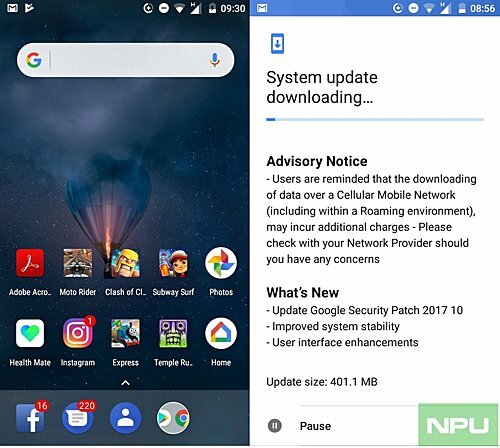 Other changes the update brings along are system stability-related improvements and UI-related enhancements (including reshaped Google search box). Currently, units in India are getting the update.